I was at a wonderful & intimate holiday office party at a local restaurant in DC. The atmosphere was lively and festive. Our table was full of great people and great conversation. One of them is an author of a new book which inspires others to take time to self reflect and rest. I became increasingly intrigued into the concept of her book called 'Sabbath Season' by Nichola Brown. For what I understand the essence is to take a 'sabbath' in order to reflect, think, and break from the normal activity to find yourself; yourself with who you are, and even in your relationship with God. I began to carefully listen to the wisdom flowing from this sister's mouth. Take a sabbath?!? I don't ever think I have thought of taking my family away for a sabbath. A sabbath could mean a weekend away. It could mean a week away or it simply at home on a particular night and we simply focus on 'us'. I really need to do this. But there was another lesson in all this. That lesson is sometimes I need to be open to listen and learn. Dads, we really don't know it all. In some areas, we 're clueless. God has put each one of us in great positions to be students of any and everything He has created. In those moments I need to shut up, listen and learn. I'm still in training. I'm NOS. 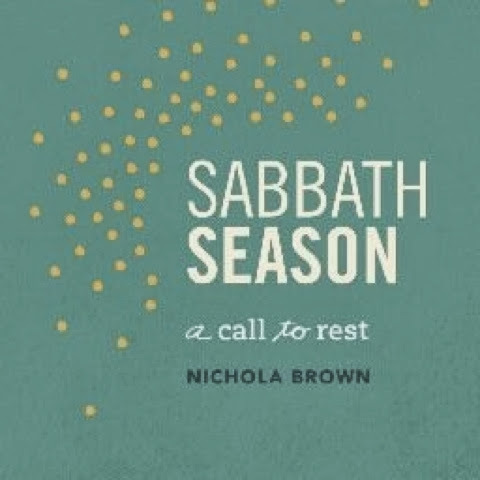 By the way, you can order 'Sabbath Season' by Nichola Brown at www.sabbathseason.com. Also follow her on Twitter @sabbathseason. Dijon- It was a pleasure spending time with you and your lovely family. There was lots of laughter and great food! I'm so grateful that the conversation about the Sabbath resonated with you. The Sabbath is a blessed experience and biblical principle.